Global IT major IBM's big data and predictive analytics will create systems to monitor and manage water supply in Bangalore by the state-run Bangalore Water Supply and Sewerage Board (BWSSB). "Our intelligent operations centre-based solution, developed at our India software lab, has the GIS (geo information system) for real-time view of flow meters across the city and identify a specific flow meter," the company said in a statement here Thursday. As the city's main source of water are the Cauvery and Arkavathi rivers in the Mysore region, the doubling of its population to 10 million from 5.4 million in 2000 has put the city's water supply and distribution system to tremendous strain. When a flow meter is selected, a user can have a view of the key performance indicators such as latest flow rate, total flow in 24 hours and average total flow in a week and its location. "As 45 percent of the water supplied goes unaccounted, implementing the solution helps us to minimise the loss by detecting large changes in the flow, through real-time monitoring," BWSSB executive engineer P.N. Ravindra said in the statement. To ensure equitable distribution of water across the city, IBM has created an operational dashboard to serve as a command centre to monitor, administer and manage the supply networks. The command centre will also monitor the water flow in 284 of 784 bulk flow meters across the city and provide a view of their functioning, including the amount of water transmitted, supplied to individual parts of the distribution system, level of water in each reservoir or tank. 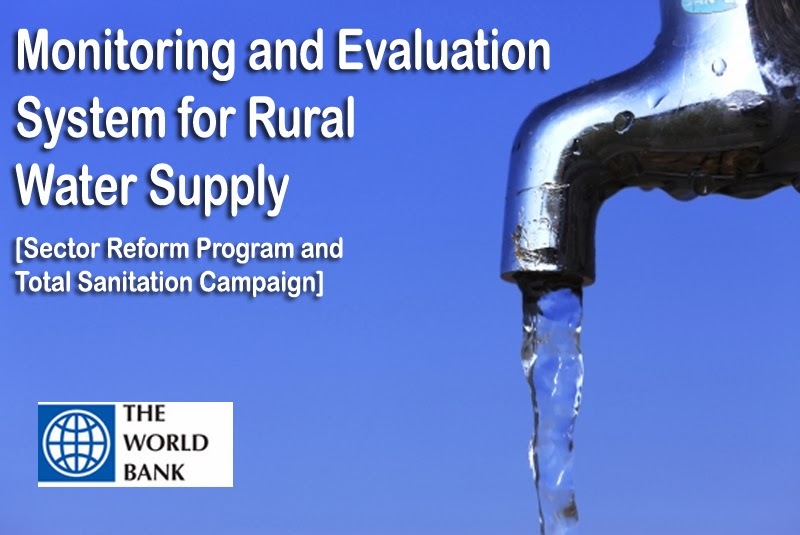 "As the country is facing a serious water crisis in view of its rapid population growth and economic development, the need of the hour is to invest in water distribution systems by upgrading the old infrastructure and setting up a new one to conserve the scarce resource. Our analytics-based solutions provide smarter water management and better control over the resources for water boards," IBM India executive director Sriram Rajan said. The solution will also enable BWSSB engineers to modify settings of the control valves and get real-time feedback on changes to the water supply. "By setting and adjusting thresholds at key points, engineers can ensure that supply meets the demand," Ravindra added. 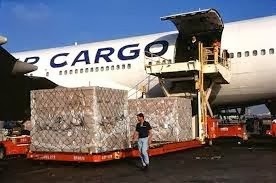 Ramco Systems, the global Aviation Software provider on Cloud, Mobile and Tablets, today announced Modern Logistics, one of Brazil’s first“end-to-end” logistics supply chain company,as its first Aviation on Cloud customer in Brazil. The win also marks Ramco’s entry into the Air Cargo segment. Under the agreement, Modern Logistics will implement Ramco’s full suite Maintenance & Engineering solution, comprising of Engineering & Programs, Materials Management, Maintenance, Compliance & Quality, Flight Operations, along with HCM and Finance & Accounting. Built for the Aviation sector, the Ramco Aviation Suite caters to airlines, rotor wing operators as well as third party MROs. The solution helps Aviation businesses to bring in best practices into all engineering and maintenance operations, and reduce overhead costs. Modern Logistics will begin operations with 737- 400 Special Freighter airplanes to launch the air solution of its integrated distribution platform. 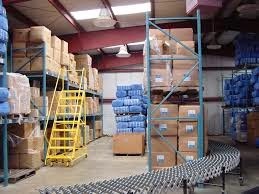 As part of its supply-chain, the company will roll-out a network of logistics centers that will focus on supplying Brazilian businesses with a “one-stop-shop” distribution solution. Launch is scheduled for the end of the first half of 2014. Integreon, a leading global provider of integrated legal, document, research and business support solutions, today announced its move to a new delivery centre in Noida, India. The 2,460 square metre (26,500 square foot) centre, which replaces an older facility, features 400 workstations, and will enable Integreon to better provide clients with its award-winning service offerings. Increased demand for Integreon’s range of value-add outsourcing services led to a 35% jump in Integreon’s overall India headcount in 2013. Addressing Integreon’s need for additional, more functional space, the new centre doubles Integreon’s capacity in the Noida (NCR) region. The company has already recruited more than 250 new Associates to fill these seats, primarily for the company’s legal and research functions. The added capacity will allow Integreon to build on its successes in the legal services market, where Integreon was named “LPO of the Year” in 2013 by India Law Business Journal after having been honoured by that publication as a “Top LPO” in the prior three years. Noida will also remain the global hub for clients of Grail Research, the research division of Integreon. Finally, the new facility will provide continued opportunity for expanding the company’s successful document services and business support services offerings. With delivery centres in Mumbai and Noida, Integreon is well-positioned to continue to lead its markets in the delivery of LPO, KPO and BPO services from India. Through its Legal Services business, Integreon offers a complete portfolio of legal support services and LPO offerings. Its solutions allow clients to delegate high-volume, standardized legal support work, including document review, contract management, due diligence, compliance and intellectual property management. Integreon is proud to be the only LPO service provider recognized for excellence in the International Association of Outsourcing Professionals (IAOP) 2013 Global Outsourcing 100, and to receive numerous accolades in Chambers and Partners’ Chambers Global 2013. For its outstanding efforts providing contract management services to Microsoft, Integreon received a 2013 Innovation Award from the International Association for Contract and Commercial Management (IACCM). Meanwhile, in its Research Services business, Integreon’s Grail Research division offers a range of custom services that help clients assess market opportunities and customer and competitive landscapes, and make strategic decisions. Its clients include 11 of the top 50 global brands, six of the top ten technology companies, and eight of the top ten pharmaceutical firms. Research Services offerings include research consulting, strategic research, library and information services, customer analytics, market research, financial services research, competitive intelligence monitoring and knowledge management. The increased presence at the new Noida centre is also expected to offer Grail Research increased opportunities for cross-company initiatives with clients of other Integreon business units, such as aiding growth efforts for Legal Services and Document Services clients and supporting consulting projects by clients of the Business Services group. The new facility will provide added flexibility for Integreon as it grows its high-quality Document Services business, where its clients enjoy a range of document processing, presentation, transcription and other administrative services, and its Business Services business, which provides critical business support functions and consulting. 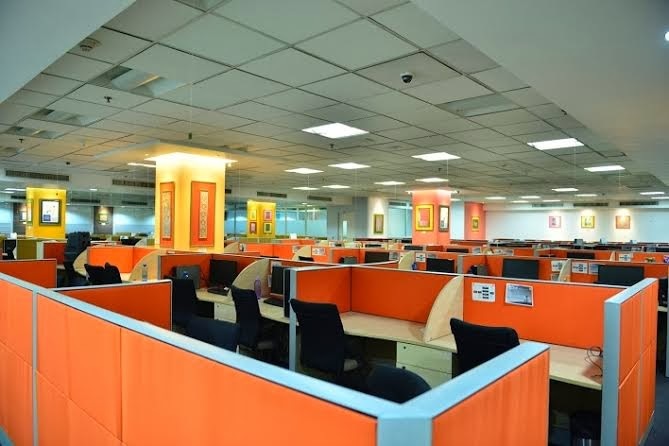 The new office features a state-of-the-art IT infrastructure and numerous high-tech amenities for Integreon Associates, including multiple Internet kiosks, Wi-Fi hotspots in recreation areas, video conferencing facilities and a computer-aided training facility that seats 40. In addition, the office offers lounges, a pantry and gaming areas. The new office also pays tribute to India’s culture with a permanent exhibit of more than 100 examples of rare art forms, including Sanjhi, the art of hand-cutting designs on paper, Bastar, a form of lost-wax sculpture, and Madhubani, a style of Indian painting. Integreon is proud to support artisans dedicated to India’s ancient crafts and help expose them to new global audiences. Each piece was chosen relate to elements of Integreon’s core values of Teamwork, Performance and Passion, and to the nine strands of the Integreon’s corporate DNA. An increasing move on the part of enterprise businesses to move their information technology services, applications and infrastructure to a cloud-based architecture will cause market revenue in this segment to surge by a factor of three from 2011 to 2017, according to IHS Technology. Global business spending for infrastructure and services related to the cloud will reach an estimated $174.2 billion this year, up a hefty 20 percent from $145.2 billion in 2013. And in a sign of the market's vigor, spending will enjoy continued strong growth during the next few years as enterprises everywhere race to come up with their own cloud-storage solutions. 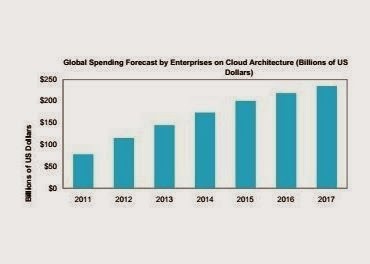 By 2017, enterprise spending on the cloud will amount to a projected $235.1 billion, triple the $78.2 billion in 2011, as shown in the attached figure. "With the cloud touching nearly every consumer and enterprise around the globe, spending for cloud-related storage, servers, applications and content will be dedicated toward building a framework that is rapidly scalable, highly dynamic, available on-demand and requiring minimal management," said Jagdish Rebello, senior director and principal analyst for the cloud and big data at IHS. "The robust growth will come as an increasing number of large and small enterprises move more of their applications to the cloud, while also looking at data analytics to drive new insights into consumer behavior." 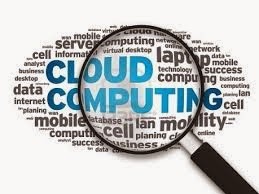 Spending on cloud services, applications, security and data analytics will account for an ever- growing portion of total information-technology expenditures undertaken by enterprises, valued today at approximately $2 trillion, Rebello noted. And the most engaged among spenders will be those seeking to ensure their continued relevance to consumers in the future. These findings can be found in the report, "The Cloud: Redefining the Information, Communication and Technology Industry," from the Mobile & Wireless Communications service of IHS. Why the cloud? The cloud is becoming a critical cornerstone in the strategies of those wishing to offer online storage, computing, analytics and provisioning services. This is because the vast amounts of media now being consumed on mobile devices like smartphones, tablets and computers require larger storage solutions, which now the cloud can provide. Such developments, in turn, will drive multibillion-dollar investments in cloud-based architectures, Rebello said. Already, small and giant companies alike are pushing to provide consumers and enterprise users with their own public or private cloud storage services. Some-like Google, Apple, Amazon and Microsoft-are offering public cloud storage to drive adoption of the individual companies' hardware and content. Others, like Barracuda, Dropbox and Carbonite, are adopting the so-called Freemium model-in which premium storage services are available on top of a fixed amount of free storage-in order to compete with the giants. The fight for dominance is understandably fierce, Rebello noted. The number of global consumer subscriptions to the cloud will jump to 730 million this year, up from 630 million in 2013, representing a potentially vast base of users to which cloud suppliers can market their products and other non-cloud services. Amazon, for instance, offers an inexhaustible range of products, and transforming even a casual user of the online giant's cloud services could well bring in an endless stream of future revenue as the user becomes a loyal and permanent client. Among the various stakeholders involved in offering cloud infrastructure and services, wireless providers are exceptionally well-situated to offer online cloud storage in order to boost value to their customers. With the cloud, wireless providers can help reduce churn, a periodic problem as customers defect to other operators. Providers can also use the cloud to seek out demographic information to help them come up with tailor-made offerings for existing clientele. By using big data and sophisticated data-analytic tools, wireless providers could offer truly differentiated services to subscribers, Rebello pointed out. To date, however, wireless operators have lagged behind in cloud offerings, compared to other stakeholders like Google and Amazon. As a result, the operators are missing out on cloud-related revenue, which is going instead to rival factions of the mobile value chain. A new cloud paradigm will dictate new ways to manage data. Issues of security and compliance must be addressed, and cloud services need to be able to manage content in an organized fashion. Moreover, issues of data loss, unauthorized access and mining for marketing purposes require deft handling. All told, cloud services must strike the correct balance between providing convenience to users, while at the same time respecting their privacy, IHS believes.